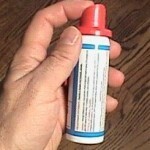 PRODUCT DESCRIPTION: Capsaicin Based Dog Aerosol Repellent. TARGET ANIMAL: Though primarily used on dogs, Capsaicin has been found to work at repelling bears as well and will probably be irritating to any mammal if they were to receive a blast to the face. Be sure to keep it out of the reach of children so they don't spray themselves. Though it won't cause any permanent damage, it will irritate eyes, nose and mouth areas for some time depending on exposure. WHERE TO USE IT: You must target the face of the aggressive animal and though it will shoot up to 10 feet, it is best to let the animal get as close as possible before shooting. This will help insure you hit the main target area which is the face. RATE OF APPLICATION: A direct hit will cause the animal to feel a strong stinging and burning sensation that will also cause them to momentarily stop attacking. This will usually last for a few minutes during which time it is best that you remove yourself from the area. 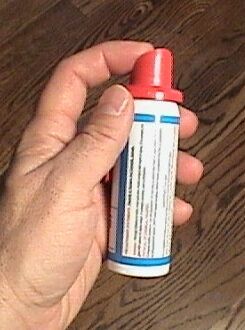 Would you be able to send your products ( the halt dog repellent and the USD Dog stopper ) to India ?